James David “J.D.” Lindsey, 87, of Thicket passed away on Tuesday, February 5, 2019, at his residence with his family by his side. 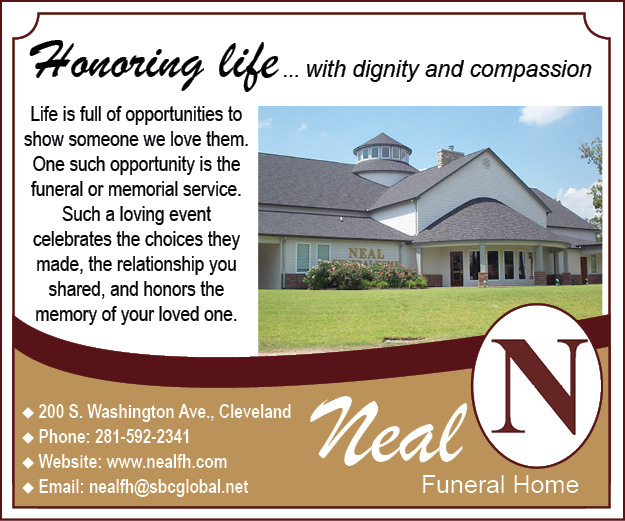 A service of remembrance will be held on Saturday, February 9, 2019, at 11:00 A.M. at Thicket Church of God with Reverend Mark Ainsworth and Carlis Dobson officiating, interment will follow at Felps cemetery in Thicket. A gathering of J.D.’s family and friends will be Friday, February 8, 2019, from 5:00 P.M. until 8:00 P.M. at Thicket Church of God. J.D. was born January 22, 1932, in Saratoga, to his parents Ollie Willis Lindsey and Estelle Shaw and had lived in Thicket most of his life where he worked as an oilfield worker. He is preceded in death by his wife, Wilma Jean Hooks Lindsey; sisters, Elene Dobson, Charlotte Huerta, Lavon Freer, Lorene Walls; and brothers, Truman and J.R. Lindsey. Those left to cherish his memory are sons, Jim Lindsey Jr. of Thicket and Bob Lindsey and wife Connie of Thicket; brothers, Doug Lindsey of Fresno, CA and George Lindsey of Clovis, CA; sisters, Verda Mae Capps of Jacksonville, FL and Eddie Ruth Fancher of Mauriceville; grandchildren, Mark Lindsey, Chris Lindsey, David Lindsey, Mike Lindsey, 9 great-grandchildren, and a host of loving friends. Those honoring him as pallbearers are Jeffrey Lindsey, Billy Armstrong, Mark Lindsey, Chris Lindsey, David Lindsey, Mike Lindsey. Honorary pallbearer will be David Keener.